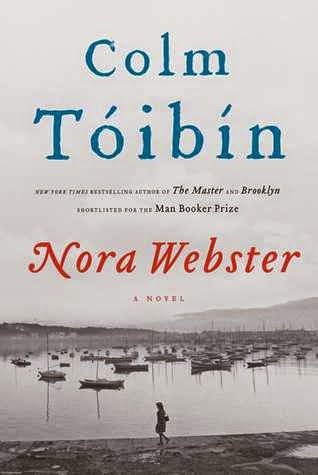 Nora Webster by Colm Tóibín will be available October 7, 2014 at Amazon, Barnes and Noble, and BooksAMillion. I received an advanced reader's edition from GoodReads First Reads in exchange for a review. This was my first introduction to Colm Tóibín's works and I loved his fluid writing style. This was a very psychological read - I kept seeing the cycle of family influence on personality disorders. And it's done subtly, with a very deft hand, so much so that I can imagine Nora's mother and the future of her children with Tóibín telling me very little about them. Now, the downside -and this is partly due to the depressed nature of the main character- I kept waiting for something dramatic to happen. Especially considering the setting, turbulent Ireland in the 1960s, but most of the events are in the background as Nora sets herself apart, keeping distant. Real-life events play out in the background in perfect mimicry of real life. It's hard to find fault with the concept but it's a bit of a let-down to not see the events unfold up-close and personal.